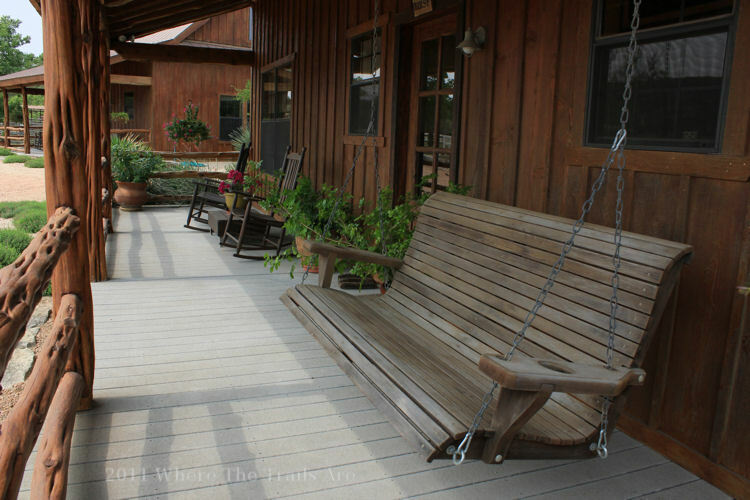 SisterCreek Ranch is beautiful rugged Texas Hill Country at it’s best with first class horse facilities. 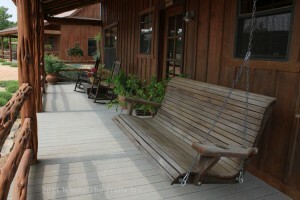 Contact: Call 830-324-6525 or email info@sistercreekranch.com for more details. From South (San Antonio): Take Interstate 10 West following the signs saying “El Paso”. Arriving at the outskirts of Boerne, exit the Business 87 (exit #537) and go right/east leading into Boerne, turn left on FM 1376 and go North to the small town of Sisterdale. Pass the orange building of the Volunteer Fire Department, go on 6.5 miles and you will pass Platten Creek. Continue on to the white Austin Stone Pillar entrance with green gate, this will be SisterCreek Ranch. Mail Box across road, 1818 FM 1376. From North or East: Arriving from the north or east to Johnson City, and traveling westbound on Hwy 290 from Johnson City, toward the city of Fredericksburg, between the towns of Fredericksburg you will see Stagecoach Convenience Store and gas station on one corner and a KOA campground on the other. There will be a flashing light. Turn left and follow FM 1376 14 miles to West Sister Creek. 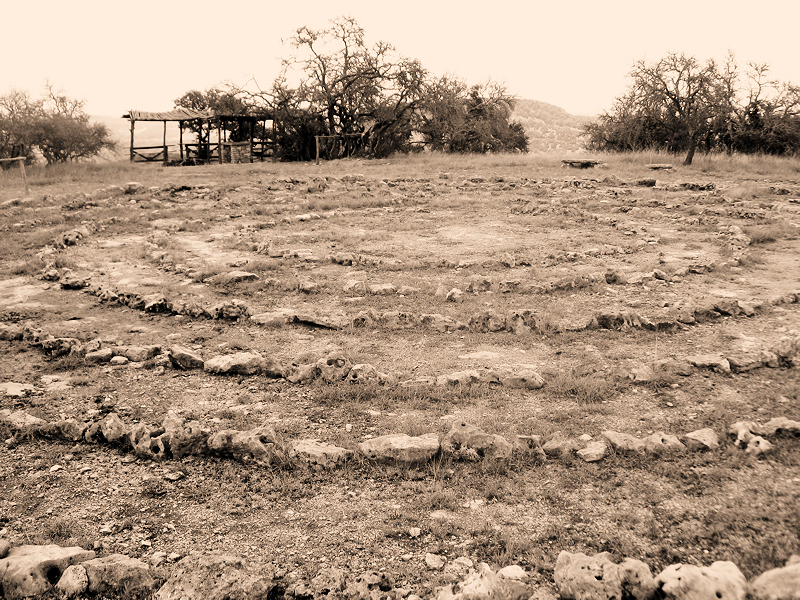 SisterCreek Ranch will be the second gate on the right and it has two white Austin Stone Pillars with a green gate. Mail Box across the road, 1818 FM 1376. From West: Traveling eastbound after leaving Fredericksburg, approximately 7 miles you will see a blinking light at the junction of FM 1376. There will be Stagecoach Convenience Store and gas station on one corner and a KOA campground on the other. Take a right onto FM 1376 and travel 14 miles. Cross over West Sister Creek. SisterCreek Ranch will be the second gate on the right and it has two Austin Stone Pillars with a green gate. Mail Box across the road, 1818 FM 1376. Hours: Visits to the Ranch are set up through appointment only, so please call ahead. They even keep the trails open when it is wet and muddy! Cost: Rates are subject to change so always call to confirm. 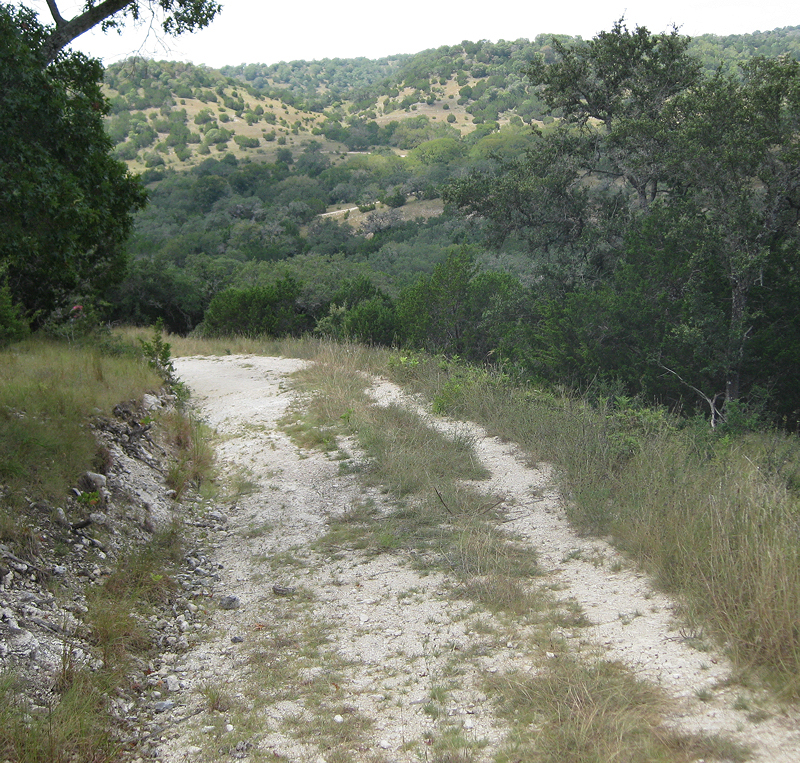 Mileage: The ranch is 700 acres with approximately 18 miles of trails. Scroll down for a view of the map. Terrain: The terrain on their PG 13 trail is described to be mostly flat with few rocks. The terrain is very rough and challenging in other areas, such as Jar Head trail and Pop A Top / Moon Rock trail areas with many rocks. 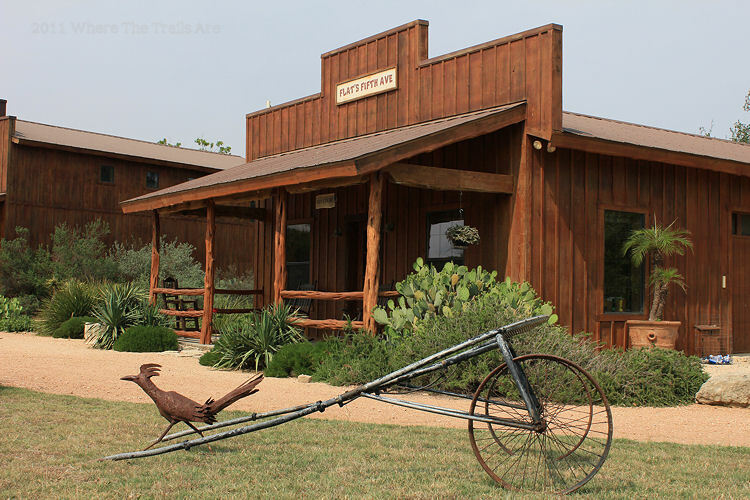 The area is overall a prime example of Texas Hill Country. Shoes/boots are recommended. Facilities: arena, round pen, stalls, wash rack, RV hookups with water and electricity, barn, restroom in the barn, guest houses, and hot tub. There are no restrooms in the area of the electrical and water hookups, you have to go to the barn for the restroom. 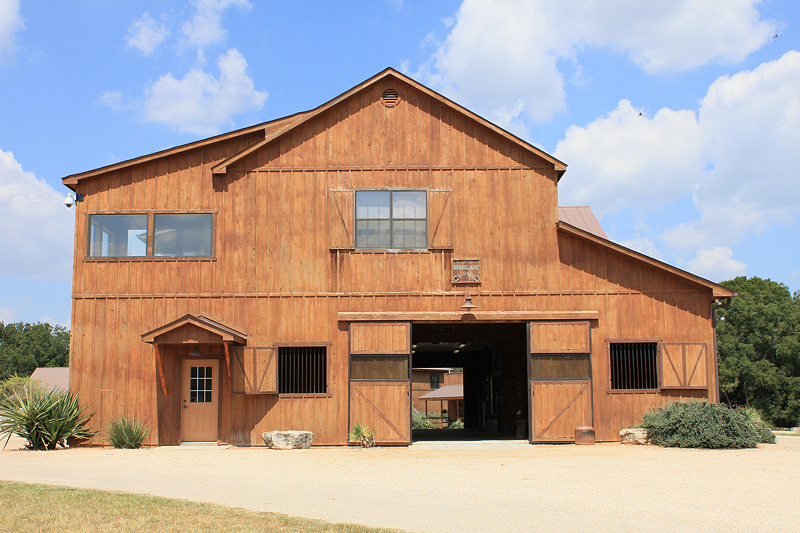 This Ranch is a prime example of beautiful Texas Hill County and is a working Tennessee Walking Horse ranch owned by Bruce and Beth Johnson. When entering the ranch it is like stepping into equestrian bliss. You drive through coastal fields, Sister Creek, pass the RV hookups and pens on the right, pass gorgeous paddocks, and then go right up to the mega barn. Bruce greeted us and let us know it was just fine to go ahead and unload. We then entered the gorgeous barn and provided our Coggins and fees. 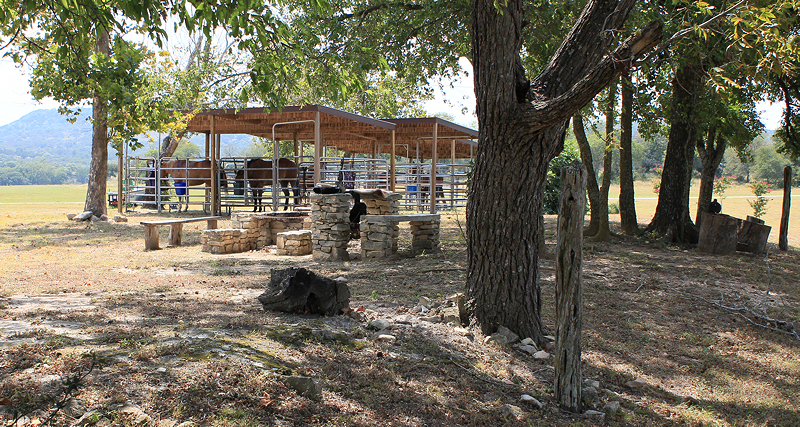 We were welcomed to ride anywhere we wanted on the Ranch to include the arena and round pen. I would have been happy just sitting in the barn all day. Bruce also gave us a map of the place and did his best to provide this directionally challenged person some tips on navigating the trails. We were also welcomed to make use of the wash rack. 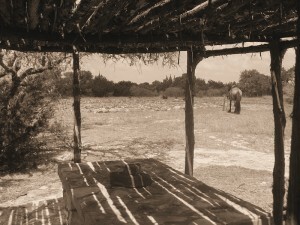 The Johnson family have kindly opened up their ranch for others to enjoy. They are both extremely welcoming and gave us a radio to use since this was our first ride on the ranch. 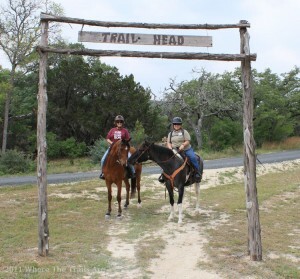 They also offered us the use of some pens so we could have a late lunch in town (Boerne and Fredericksburg are both close by) and return to the trails for the evening, unfortunately we ran out of time to take them up on the offer. Experiencing an old west feel at SisterCreek Ranch. On this excursion we mainly traversed the northwest side of the ranch. Watch out for the stock tank just on the east side of the arena, it can get boggy. We rode next to the black road following a small trail leading up behind the house next to a shop and several gates. We chose to head through the gate on our right which immediately lead to a second gate giving us plenty of practice with our horses on opening gates, which I always welcome. 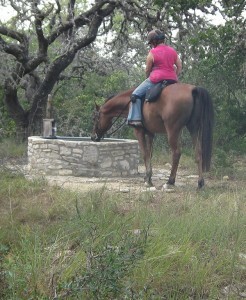 Right after going through the gates we found a nice watering spot to the left which our horses really enjoyed. Both of them were completely emerging their noses in the cool water and then curling their lips up into the air. The cows must of liked this watering spot as well because there were several hanging out in the area and they were still there when we came back. Then we headed down the fence line which later entailed a long slow and rocky climb in elevation. Just on the other side of the fence a fully antlered buck allowed us and our horses to gaze upon him for a few moments. We then left the fence line and followed a trail leading to an ancient looking spot, composed of circular rock formations and an old style gazebo with an amazing overlook. I think this place is labeled Pop A Top on the map. I would sure love to know the history behind the circular rock formations. The feeling of being in the old west overtook me. This was truly a unique spot perfect for a rest and opportunity to admire the magnificent Texas Hill County. Several hitching posts were present and some stone benches which worked well as a mounting block, a welcomed convenience for my not exactly tall friend and her very exactly tall ex-racehorse Arab, Ace. Heading back was interesting due to my directionally challenged condition and a few dead end trails. However, going back to the wider Jeep trails and using the strategy of following the fence line was a no fail plan. Once back at the barn we washed the horses off and practiced walking them on the bridge obstacle located by the round pen. This was a great opportunity to do some obstacle work. The wooden bridge worked like a teeter-totter with a round piece of wood in the center. Ace was a champ and acted as if this was something he did daily. My horse Angel was not so sure about the moving black creature and would only cross over the short side and not lengthwise. I was still proud as she had not seen a bridge like this before. Definitely something new for us to work on. 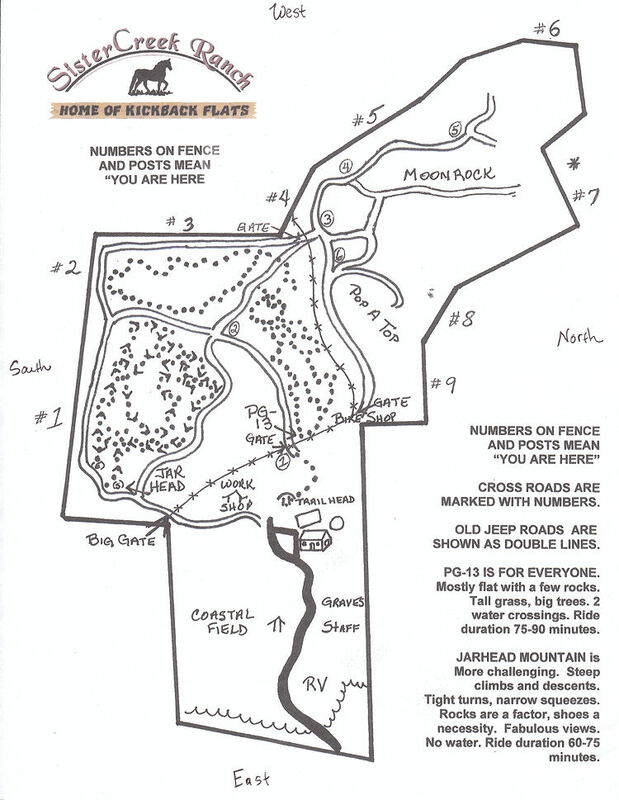 On my next visit I will plan for an earlier start and hope to explore the PG 13 trail, make use of the arena, and take a good look at the little western town of Kickback Flats. I’m looking forward to it. Well I got to make that next visit on May 1st, 2011 and was joined by two riding friends, Carol on her bay Arabian and Caroline on her black and white Paint. We had the pleasure of exploring the PG13 trails on this visit. I found the trails to be rocky but loads of fun. There is a great view of Mr. and Mrs. Johnson’s fabulous Hill Country home. A watering trough is located off the trail (the higher of the two trails which parallel each other) with the view of their home. One of the trails has several large logs laying across the path. I highly enjoyed taking Angel over these logs at a walk and then later we jumped them at a trot. She did great and it was wonderful natural obstacle practice. There is a pond on this trail with several trails branching off from it in all different directions. On one side of the pond is a nice circular trail free of rocks and perfect for working on collecting and suppling your horse while riding in a circle. A cold front blew in while we were riding which brought up the horses’ spirits and made the air fresh and cool. I had time to make use of the arena and enjoyed making use of the cavaletti or small jumps that were set up. Angel and I also practiced walking across the teeter-totter bridge again just outside of the arena. This time we did it! 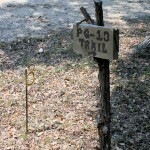 We also discovered several short trails just outside of the gate leading to the PG13 trails. 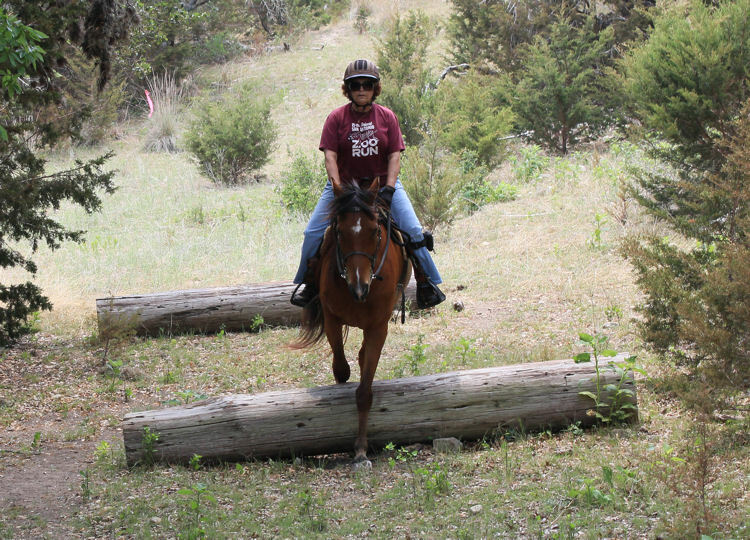 These short trails are not very rocky and had a a few logs laying on the ground in the pattern of an L, great for another trail obstacle challenge in backing your horse. 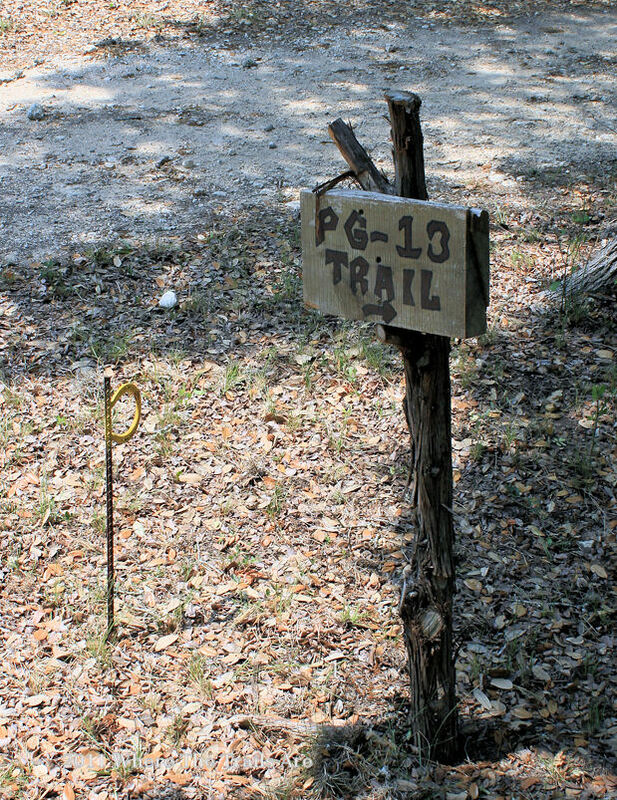 We found that some of the trails are marked and there are several unmarked trails as well. Mr. and Mrs. Johnson state you are welcome to ride on the marked and unmarked trails. I enjoyed taking a good close look at Kickback Flats and hope to talk my husband into taking me there for our anniversary, what a treat that would be! The accommodations for both human and horse are sublime. If you would like to share information about your experiences on this ranch, the trails, or also send in a review please check out the page/tab Submit A Review. Happy Trails. 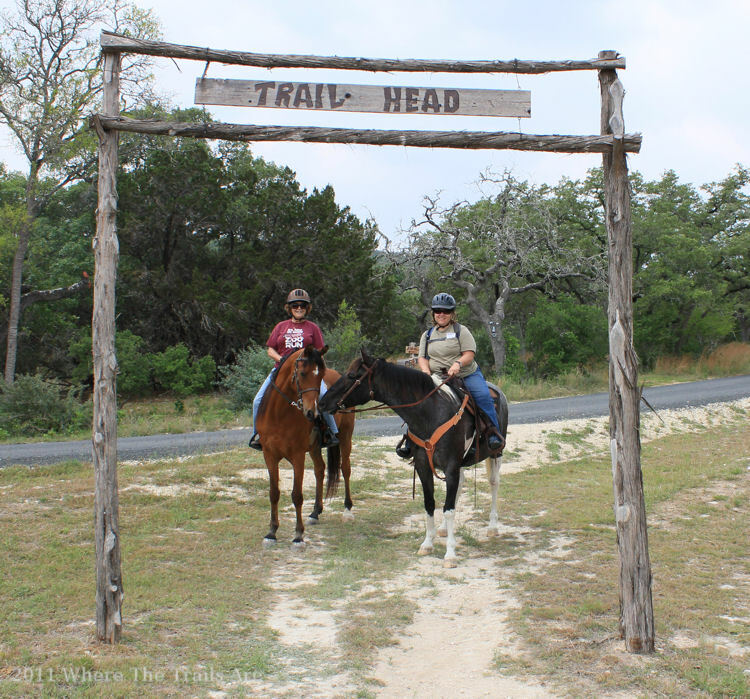 Carol and Ace on the PG 13 trails, May 2011.